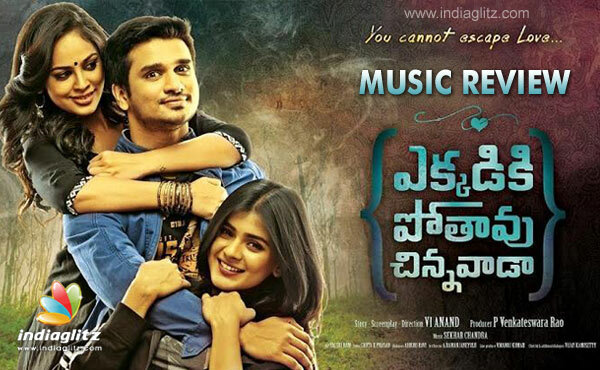 'Ekkadiki Pothavu Chinnavada' sees the coming together of Ramajogayya Sastry, Srimani, Shekhar and Prasanna Bezawada as lyricists. Yazin Nizar, Karimulla, Dhanunjay Sweekar, Ramya Behara and Sekhar Chandra are the lyricists. The 'chinnavadu' is trapped by her beauty, and there is no escape. Baptized in Islamic music, the spirited male-oriented number comes with its share of Hindi lyrics, among them addressed to God. The Ghazal-ish influence is embellished with Srimani's straightforward and soothing lines like 'Nuvvu peelche gali naku oopiri ayyene'. Yazin Nizar's splendid vocals have a playful way of their own. 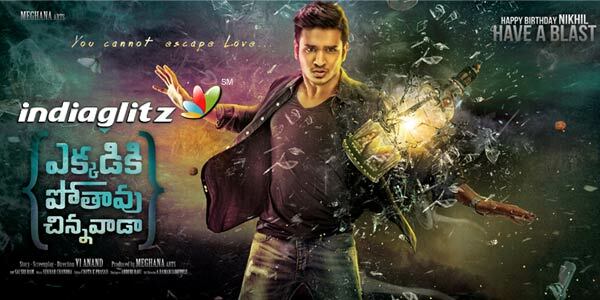 Sekhar Chandra's rip off-style music is enjoyable. Surely, the deja vu could have been avoided. Conceptually, the song is full-on fun. The bridegroom just can't wait any longer, lyrically expressing his desperation with a liberal dose of English-language terms. While at it with impressive imagination, Ramajogayya could have avoided such cliches like the 'Power Star FDFS' line. Dhanunjay Sweekar has a peppy voice that fits the bill. Sekhar Chandra's music races forth much like the meter and the unreal wrist watch the hero is imagining. Ramya Behara's brilliance is writ large. With a trace of huskiness, she perks up the sensual undertones of this thematically anticipatory number. Ramajogayya Sastry sizes up the yearning of the soon-to-be harassing soul in the way she expresses her hankering for him. Phrases like 'Nene naku lekunna' and 'Naa pancha pranalu ananda sankeerthana' sound great. Sekhar Chandra's excellent music is ethereal. The lover boy is torn between an uninteresting, unfashionable suitor and a stubborn hot diva. The lyrics bring out his travails with liberal references to popular culture. Sekhar Chandra's music is inspired and doesn't give a takeaway. The Kollywoodish feel makes it all the more bland. Verdict: At 13 or so minutes, the album presents playful numbers, three of which seemingly derive themselves from the story. 'Neetho Unte Chalu' pips others in terms of the appeal. A good output, overall.